The DMV was required to automatically register any person making a transaction, unless they opted out or stated that they were ineligible. The result? Tens of thousands of registration errors and a meltdown that may have prevented hundreds of eligible voters from casting ballots. Still more changes are coming. In 2020, local polling places will be replaced by vote centers where people will be able to register to vote on Election Day, change their address, switch their party preference, obtain a replacement ballot and, of course, vote. No ID or documentation will be required. Where are the safeguards against tampering or voter impersonation? The problem is that there’s no evidence that any of these 95,000 registered voters aren’t currently citizens, or that even one of the 58,000 who voted in Texas over the past 22 years did so illegally. In fact, this is much more likely a case of faulty government data than voter fraud. The reason for this is rather mundane. In Texas, noncitizens with a work visa or a green card can apply for a state driver’s license or ID card, but they must show the Texas Department of Public Safety (DPS) documentation of their legal status at the time of their application. Of course, even if they get a driver’s license or an ID card, they’re still not allowed to vote, or even to register to vote. But when these people become naturalized citizens, as many of them do, they are under no obligation to then contact DPS and update their citizenship status. In Pennsylvania, the state’s Democrat-led administration has been less enthusiastic about confronting the issue. After an earlier estimate put the number of noncitizens on state voting rolls at 100,000, Mr. Metcalfe made a right-to-know request under state law for the voter information. He was preparing to get the information early last year when the Wolf administration objected and went to court to try to keep it secret. The state Commonwealth Court, an appellate panel, scheduled a hearing for last month — after the November elections. Just a week before the court hearing, the Wolf administration withdrew its appeal and announced that it would turn over the information. 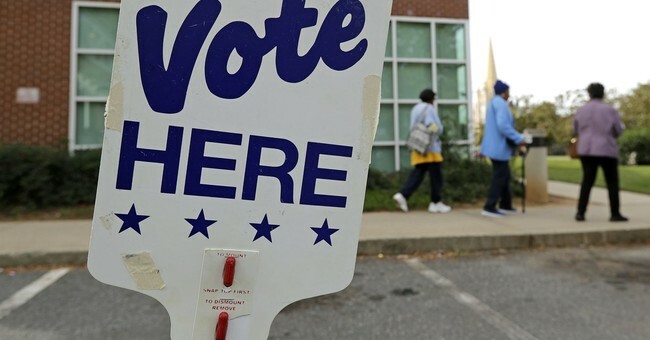 A top Pennsylvania lawmaker called on the state Wednesday to immediately expunge the names of 11,198 noncitizens whom the state confirmed are registered to vote, despite not being eligible. State Rep. Daryl Metcalfe, a Republican and former chairman of a House government oversight panel, said the administration of Gov. Tom Wolf, a Democrat, belatedly acknowledged the large number of noncitizens in communications over the past two months...State officials followed a similar process in Pennsylvania after admitting that a glitch in state motor vehicle bureau computers allowed noncitizens to register to vote easily. They, too, matched driver’s license records with voter rolls and came up with nearly 11,200 names. If Pennsylvania has, in fact, confirmed that there are more than 11,000 ineligible non-citizens currently registered to vote, they should be taken off the rolls immediately. It seems many of them were signed up via the same sort of "glitch" that resulted in the California mess described above. Speaking of that state, please recall that the sort of third party "ballot harvesting" practice that is at the center of a serious voter fraud case in North Carolina is legal in a host of states, including California. Conservatives tend to over-blow worries about voter fraud, while liberals underplay them. What experts say is that most of the fraud that does occur happens via absentee and mail-in ballots, not through in-person fraud. Voter registration fraud or inaccuracies also far exceed in-person fraud. Common-sense protections like voter ID laws are of course sensible, but voter integrity efforts should focus far more attention on faulty or unlawful registrations, as well as chain-of-custody issues surrounding ballots not cast at polling places.